Out-of-work professionals have a new avenue to get help in technical training as well as advice from peers in industries they want to join. They can turn to more than 60 volunteers from 16 industries, such as Internet security, engineering and accountancy, for information and emotional support as well. The new Pivot programme, launched by the labour movement yesterday, also provides for them to meet career coaches, attend talks by industry associations, get training in both soft and technical skills, and be matched to suitable jobs. Its goal essentially is to help people manage their anxieties from a job change and give them access to a wider network, said the National Trades Union Congress (NTUC). The scheme is the latest in a slew of initiatives to help professionals, managers, executives and technicians (PMETs) navigate an uncertain economy facing rising retrenchments and a growing number of skills becoming obsolete. Latest figures show that the unemployment rate for resident PMETs going up to 3.1 per cent in June last year, from 2.7 per cent in the previous year. Speaking to reporters at the launch of the programme at the Singapore Institution of Safety Officers, NTUC assistant director-general Vivek Kumar said Pivot is built on the experience gained from its Career Activation Programme. Introduced in 2015, the programme provides for older workers who are unemployed for a long time to receive peer support from volunteers who went through similar experiences. About 150 people have taken part in it. The volunteers for Pivot are from NTUC's U Associate network of professional associations, and they received some training from the Singapore Psychological Society. Running the programme is U Associate and NTUC's U PME Centre and Employment and Employability Institute. Those interested in Pivot can visit http://ntuc.co/findmypivot for more details. At its launch, seven organisations signed agreements with U Associate, bringing the total number of groups in the network to 58. 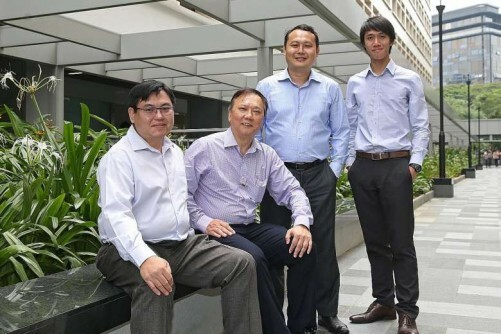 Pivot volunteer Alex Chua, 44, president of the Singapore Sales Professional Association, said he hopes to motivate job seekers to "take baby steps" and change their mindsets and skill sets to be better poised for available jobs. In sales, for instance, they can look for jobs that suit their dispositions, like whether they are predisposed to developing new businesses or to overseeing clients as account managers. "We have to give them some hope, show them there are jobs out there... so that they will start to be interested to take action," he said.